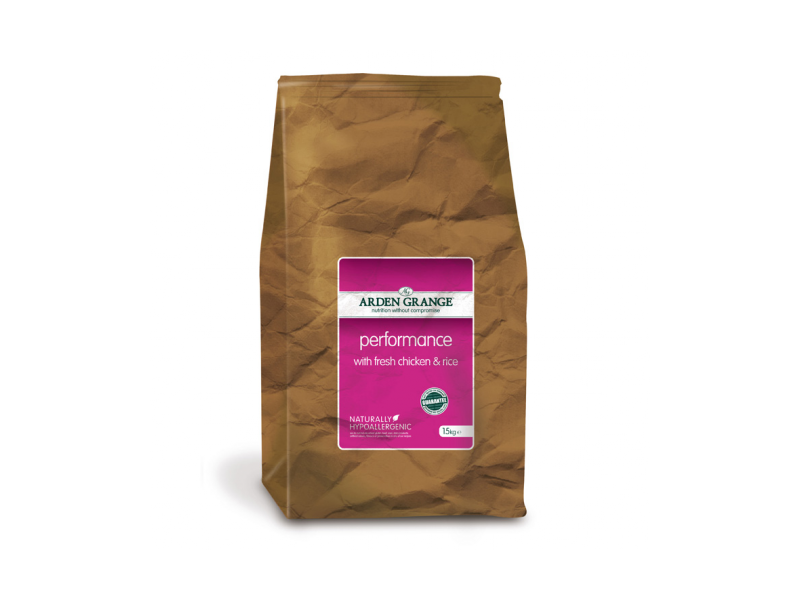 Arden Grange Performance With Fresh Chicken & Rice is a nutritionally balanced diet for active and working dogs. The diet combines a tailored blend of key nutrients to promote all-round health and strengthen and protect tissues, muscles and cells. With advanced levels of chondroitin, MSM and lucosamine to strengthen the heart, enhance the physical condition of your dog and support its natural defenses. Great for all dogs with an active lifestyle, helping to nourish and replenish from the inside out. Crude Protein 25%, Fat Content 18%, Crude Ash 6.5%, Crude Fibres 2.4%, Calcium 1.4%, Phosphorous 1%, Omega-3 0.91%, Omega-6 3.1%, Taurine 1000 mg/kg, L-carnitine (50mg/kg). There are currently no questions for Arden Grange Performance With Fresh Chicken & Rice Dog Food - be the first to ask one!